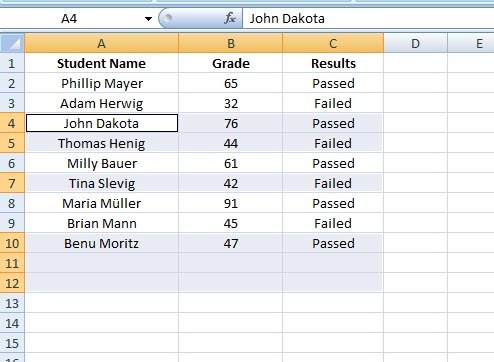 :: View topic - Blank cells in Excel – how to organize them better way? 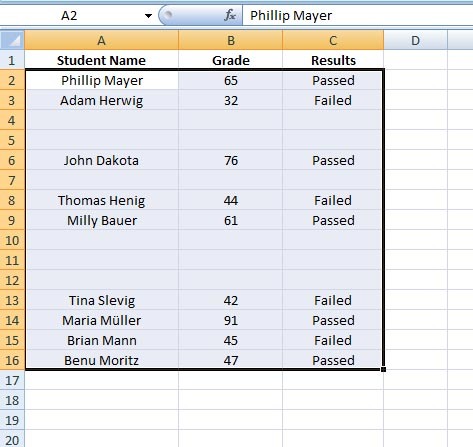 Blank cells in Excel – how to organize them better way? 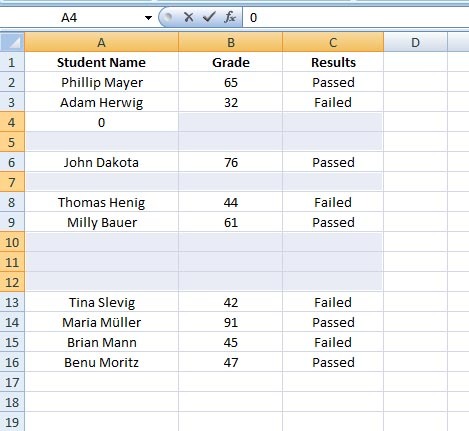 Posted: Mon Jan 30, 2017 10:25 am Post subject: Blank cells in Excel – how to organize them better way? 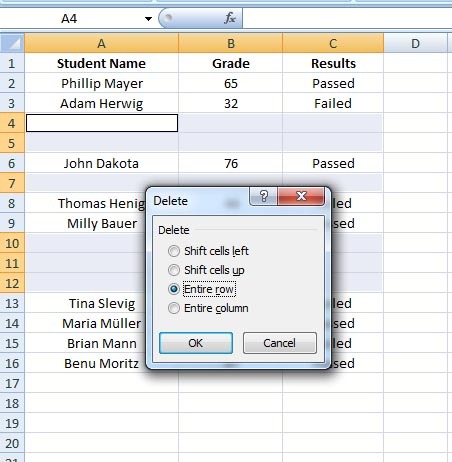 If you have lot of blank cells in your Excel data, there are several ways you can organize them nicely. 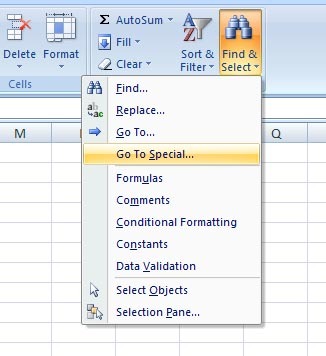 'Go To Special' Dialogue box opens > select Blanks > click OK.
All blank cells in your data range are now selected. Just type a 0 (zero) - you will notice that the active cell, in this case A4, is immediately filled with a 0. Now press Control + Enter. 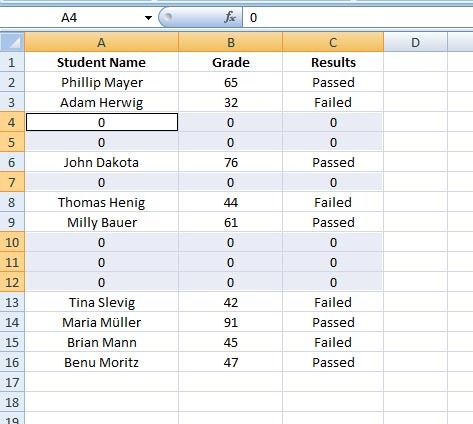 All your blank cells are now filled with 0. 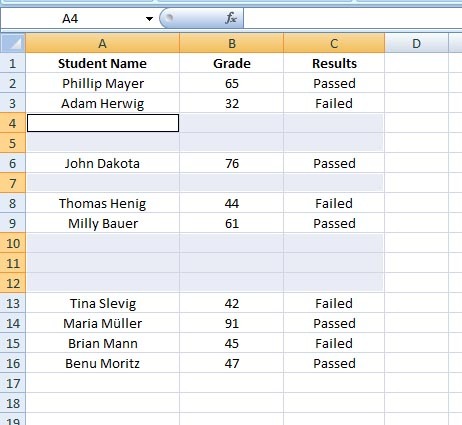 All blank cells in your data range are now selected (like before). The small 'Delete' window opens. 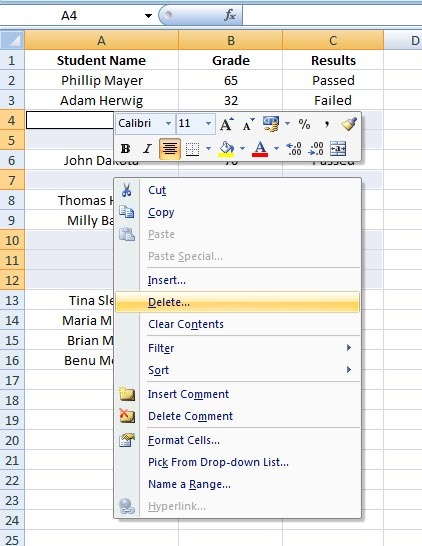 Now you have to select any of the four options, and it depends on how your data is distributed on the spreadsheet. In this case, I will select Entire row (may be in your case, you will need to select Shift cells left or Shift cells up) > click OK. 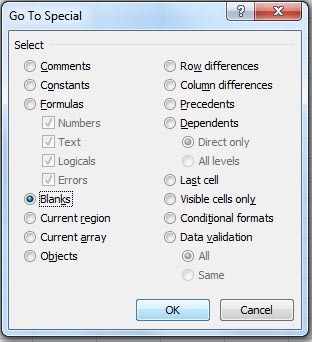 If for any reason, you need to count the number of blank cells in your data range, then you can use the COUNTBLANK function – it counts the empty cells or blank cells in a specified range. 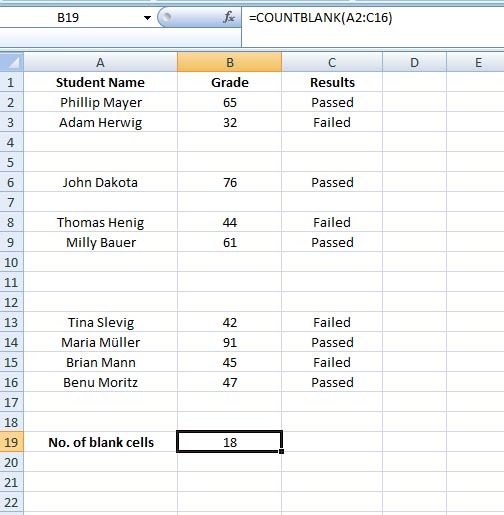 As you see, here in the example, I have 18 blank or empty cells.